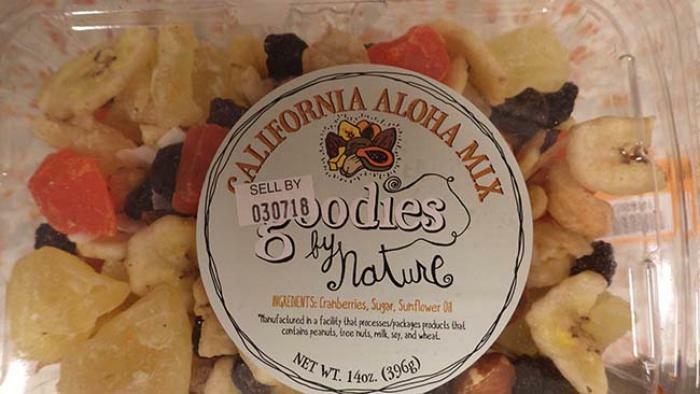 Grand BK of Maspeth, N.Y., is recalling California Aloha Mix. The product may contain tree nuts -- almonds, walnuts and cashews -- allergens not declared on the label. The recalled product, which comes in a 14-oz., clear plastic package marked with "Goodies" and the UPC code 846034010048, was sold in H Mart stores nationwide.